Summer is fast approaching and we already have several family “outings” scheduled. Two are ‘leave-the-house for over a week” vacations and there are several day trips and quick overnights on the calendar as well. It is hard to pick up and move everything a family needs! When there is a child (or two) that wets the bed, you fall into a comfortable routine at home where it doesn’t disrupt daily life. On a trip, everything is different but there are ways to ensure nighttime comfort for the road. The number one way to minimize issues with bedwetting is to keep the situation as stress-free as possible. It almost makes me giggle to type that because I think back to many-a-frantic travel day! But keeping kids aware of issues at a level they can comprehend and letting them know that whatever problems comes up will be solved is helpful because you are all together can help calm vacation jitters. Pack disposable nighttime pants – GoodNites Bedtime Pants are perfect for throwing into the suitcase. Take a pair for each night and an additional pair or two just in case. Nighttime routines are often out of whack with travel so longer daytime naps (with deeper sleep) may occur that having an extra pair can provide comfort and protection. They’re also super super discreet, so no one else on the trip even has to know they’re wearing them. Take along sealable plastic bags – Not every sleeping location has the amenities and privacy of home. 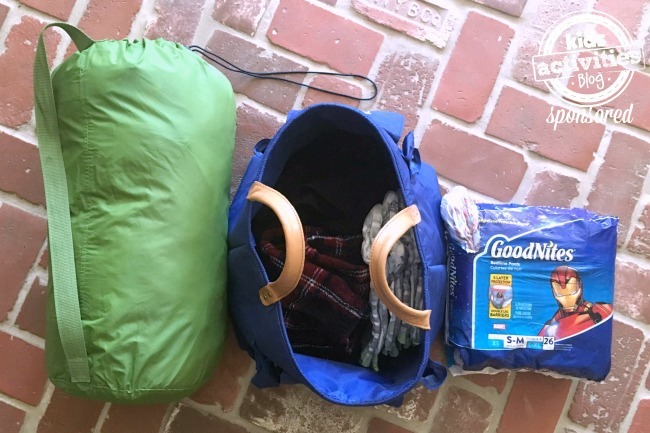 Having the option to use a sealable plastic bag to quietly dispose of GoodNites in the morning or tuck them back into a suitcase if needed is especially helpful if the child is attending camp or sleepovers this summer. Make a path to the bathroom – I know this seems obvious, but sleepy, disoriented kids can forget where they are and start to wander in the middle of the night! Make sure they are aware of WHERE the closest bathroom is and that there is a clear path (and lighting) so they can get there in the dark. –>Next level: Take along a plug-in night light on your trip. They’re small and can easily be thrown into a suitcase. This can help take the mystery out of whether your hotel room will have enough nighttime lighting. Keep your nighttime routine as normal as possible – Travel often causes changes to daytime and bedtime schedules, but don’t throw out the bedtime routines just because it is a little later. Calming down before bed can relieve stress and make kids feel at home. 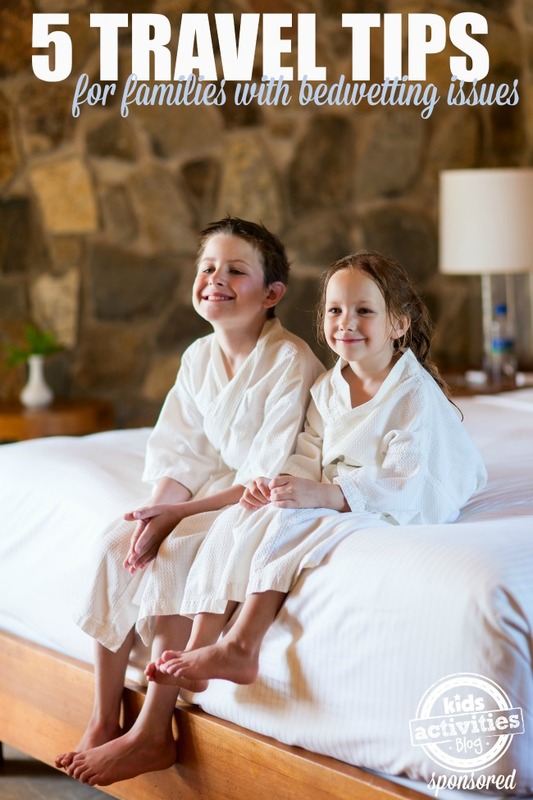 So, if your child’s normal bedtime routine includes a bath, a story and tucking in, don’t skimp on that during your family vacation just because you are away from home. Have a positive attitude – If your child does wet the bed at night, handle it calmly and reassure them that it’s perfectly okay! Help them understand that they’ll grow out of bedwetting eventually, and in the meantime we have our GoodNites to keep us dry and comfortable. When you are prepared for possible bedwetting scenarios, it will decrease your stress as well as your child’s. They will realize that, just like at home, bedwetting is no big deal. That is one of the reasons why I am such a big supporter of GoodNites Bedtime Pants. They’ve helped my family with bedwetting and it removes the drama and stigma around bedwetting.